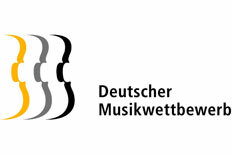 4.7.2018: Musicians can apply for the 2019 German Music Competition until November 6th and this year they can present their skills in 13 categories: vocals, cello, trumpet, tuba, guitar, piano accompaniment (vocal/instrumental), piano duo, flute-piano duo, oboe-piano duo, clarinet-piano duo, wind quintet, ensembles for early music, and composition. Applications are open to professionally trained musicians up to 30 years of age and composers up to 35 years of age who are from Germany or have longstanding ties to Germany. The German Music Competition will be held for the first time in Nuremberg from February 25 to March 9, 2019. The prizewinners and scholarship holders of the German Music Competition receive comprehensive support: They are booked for chamber music concerts (BAKJK), play at renowned festivals and are promoted for solo concerts with orchestra. The prizewinners will also produce a CD on GENUIN classics, which will be part of the Primavera series. This edition is already known to the press and experts as a talent factory - at least two debut CDs of this series have already received the ECHO Klassik Award: The two Primavera CDs by Andreas Martin Hofmeir and Asya Fateyeva. Two more Primavera CDs will be released by GENUIN classics this autumn: The debut CDs of the hornist Tillmann Höfs and the oboist Juri Vallentin (formerly Schmahl).